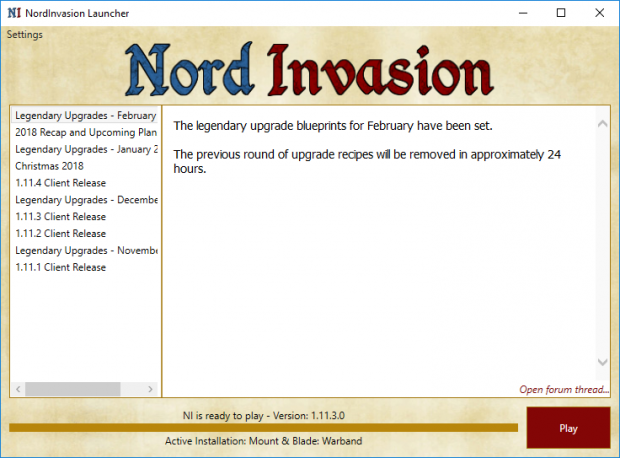 The best way to get NordInvasion and stay up to date. The new NordInvasion Launcher which will keep you up to date on everything thats happening in the news whilst simultaneously keeping you up to date on the game release files. Its the easiest, fastest and simplest way to get going with NordInvasion!